The Kerner grape is the result of a cross between Riesling and Schiava, realized for the first time, experimentally, in 1929 by August Herold. 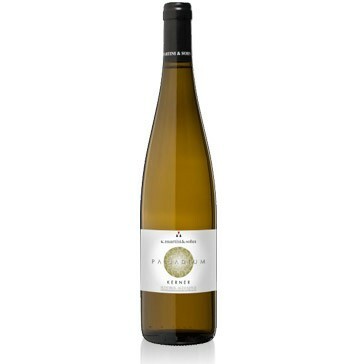 It is an aromatic white grape variety. It was named after Justinus Kerner, German physician and poet, who wrote poems dedicated to wine. It is a vine that has excellent resistance to cold and was introduced in Alto Adige in the seventies getting the DOC in 1993. Martini & Sohn has chosen to vinify Kerner in purity, obtaining an aromatic wine with a strong character, with a pale yellow color with greenish hues, with a delicate bouquet, dry and full, with light tones of nutmeg, freshly cut grass, fresh flowers, spices and white pepper. Ideal as aperitif and with light appetizers and fish. The wine should be served at 8-10 degrees centigrade in clear, transparent crystal goblets. The bottles should be placed in a horizontal position in a cool, dark and humid cellar.